In our previous article we discussed five ways to help relieve anxiety and reduce the amount of stress you have in your life. Today we would like to share with you five more techniques which may help you in this endeavor. Remember that the more you are able to relieve stress and anxiety the higher your quality of life will become. Practice using these five new techniques along with the five we have already shared with you to see the best results. Too often our lives become 100% work and 0% play. While it is a wonderful thing to be career driven, everyone needs a little time for themselves. Find a release for yourself. It may be art, music, reading, writing, or any number of hobbies and interests. Take a few minutes out of your day to do whatever it is that makes you happy. Don’t think about work or other things which need to be done during this time. It is a time for you to simply enjoying being you. When you are suffering from a large amount of anxiety or going through a dreaded panic attack, the big trick is to not fight your feelings. Fighting it or saying that you can’t have a panic attack or you can’t be anxious can actually increase your stress levels. Instead simply ride out the waves of panic or anxiety. Realize what is going on, accept it, and move forward with whatever it was you were doing. You will still feel anxious, your heart may still be beating too fast, and your palms may still be sweating but these episodes tend to be much shorter when you don’t fight them. Calming activities such as meditation or yoga can help in both the short term and the long term. Short term it can help to alleviate the current stress you feel. Tension is relieved from the body. The deep breathing associated with these activities helps to calm both the mind and the body, lowering your heart rate and working to clear your mind. The long term benefits of these calming activities are that they teach you to better deal with your stress. Both yoga and meditation focus on you learning how to clear your mind, breath better, and accepting things exactly as they are. These techniques can be applied to every aspect of your life for a less stressful life. When you feel anxious, try keeping both your mind and your body busy. Don’t work yourself to death, but perhaps find a small, simple task to occupy yourself with for a few minutes. At work you could check your email, tidy up your desk space, or make some non-stressful phone calls you need to make. At home you could fold some laundry, wash up the dishes, or vacuum. If you stay busy you are less likely to focus on the stress you are feeling and eventually those anxious feelings will pass. 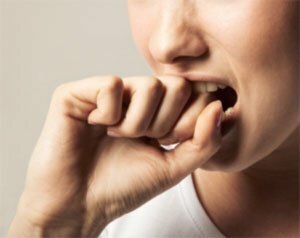 If you have tried all of the other techniques and have not been able to manage anxiety on your own, it may be time to seek professional help. It may be that the reason you have not been able to successfully manage your anxiety is because you are actually suffering from an anxiety disorder. Anxiety disorders only get worse with time if you fail to seek professional help. There is no need to feel as though you are crazy or insane because you need to get professional help either. Many people see therapists and are certainly not crazy.